Hermann Völxen is the last farmer in Hanover. I visit him every few weeks and watch him through my camera. Originally from Suriname in northern South America, Soeredj has been living in New York City for almost five years now. He is working at the solid waste services companies IESI in an recycling facility in Red Hook. The whole place smells pretty acrid and is quite dirty, but Soeredj seems to love his job. 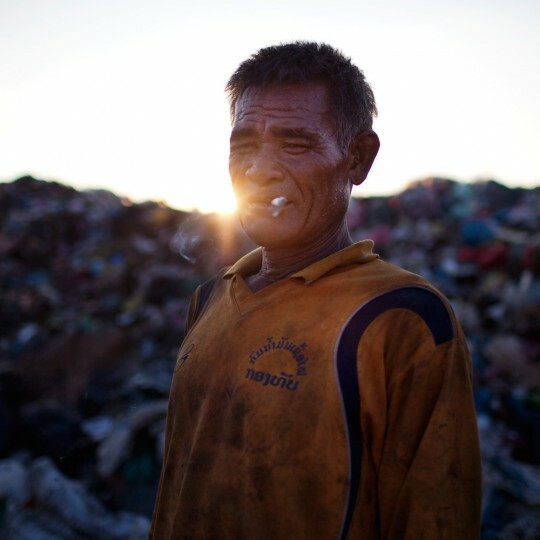 Moet is a 48 year old lao working on Vientianes dump site. He’s been doing his job for 13 years already. He says that he can make about 100 USD per month. The dump site is of course a very smelly place and full of flies. But Moet says that he doesn’t smell it anymore after so many years. 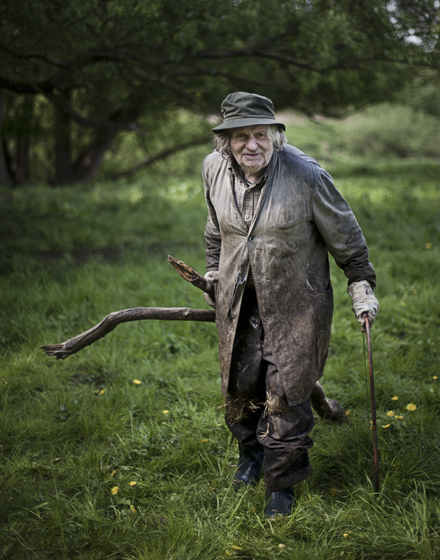 The portrait is part of a reportage about illegal coal mining in Poland. I photographed the story in Spring 2011. It was puplished in „De Volkskrant“.